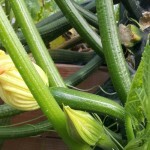 Last week in the community garden polytunnel the courgettes were looking fab. I can say that with certainty as we’d closely checked all the plants following the discovery of the red spider mite (see previous post). So the last thing we were expecting this week was a fungal disease, and quite a major outbreak at that. It’s often the way that during the first year of growing fruit and vegetables everything will perform spectacularly for you. 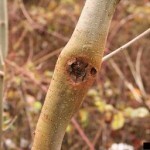 You may be lucky the following year too, but no matter how often you wish or believe otherwise, sooner or later a pest or disease will find your plants and my experience in the Greenside Up garden has been that it will be a different pest or disease each year. Identifying the pest or disease quickly is the key to preventing a larger, more devastating disaster and there are many books out there to help you do this. My current favourite is The RHS Pests & Diseases by Pippa Greenwood & Andrew Halstead. 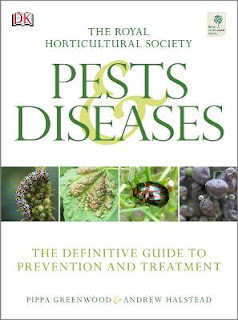 It’s full of colour photographs, good descriptions and a great A-Z of pests, diseases and disorders, suggesting ways for tackling them both organically or chemically. 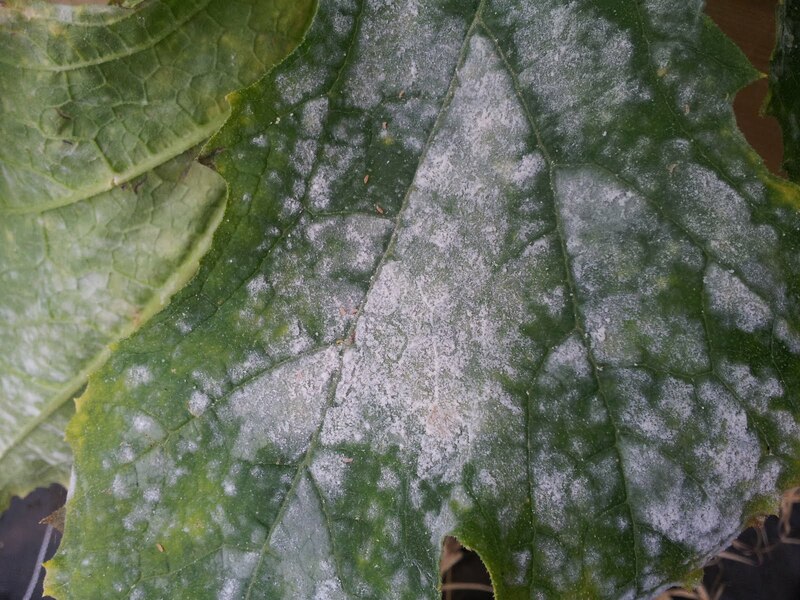 So, back to the Powdery Mildew…. …. but then powdery mildew thrives where there’s humid or damp air around the top growth of leaves. This can be very confusing to any of us starting out growing our own! So what do you do??? Mildews and moulds tend to build up where there’s lack of good airflow so keep windows and doors open. Yes, spray the floors and decking if you have to, but try and avoid the water splashing the leaves of your plants. Ensure there is adequate space around your plants, again to help with air flow and do try to keep on top of the weeding. Lastly, and I can’t emphasis it enough, be vigilant and don’t ignore something if you don’t know what it is hoping that it will go away! (Yep, I’ve done that too…) – it won’t. 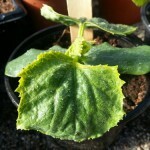 Once we’d identified the Powdery Mildew we immediately removed all the badly infected leaves and bagged them up (these weren’t destined for the compost heap). Unfortunately most of the leaves on the two plants had been affected and we couldn’t remove all of the leaves without killing the plants, so we just removed the very worst. 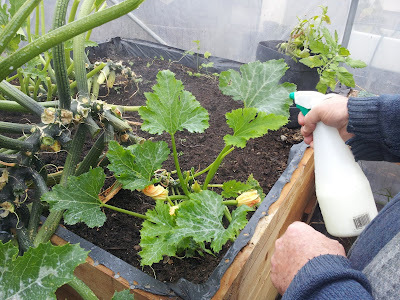 An old remedy for Powdery Mildew is to spray the plants with a milk solution (300ml milk, 700ml water mixed together in a clean spray bottle). The enzymes of fresh milk will attack mildew and a stronger solution will result in a foul smell as the milk goes rancid. Another is to mix 5g baking soda with 1lt of water. 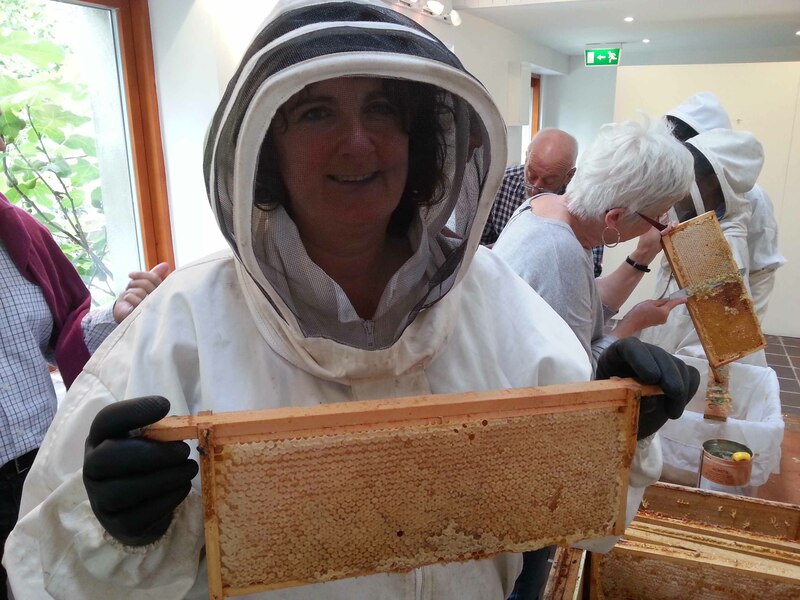 We didn’t have baking soda to hand but as community gardeners who enjoy the odd cup of tea and slice of tart, we could provide the milk. Hopefully the milk will do the trick but if it doesn’t, I don’t think any of the gardeners will be too devastated…. even the most avid courgette eaters are secretly looking forward to the day they don’t have to take one home with them again ;). Love the solutions, all easily to hand. Didn't get it but won't forget that, just in case. That's what I love about your blog, it is great for the eejits like me who need simple instructions, but they are always given in the sweetest most knowing and understanding way so we never really feel like eejits…..
No question is a stupid question, right? So, I’m going to ask… After you remove the infected leaves, if using baking soda + water, this is sprayed on all the plants, even if you’re trying to keep the leaves dry otherwise? My squash plants aren’t crowded, but often we have a lot of fog in our area. Supposing that can contribute to it? Apologies for the delay in replying and you are absolutely right, no question is a stupid one! Yes the fog will contribute as the air will be moist so can help to create conditions that various kinds of mildew and fungus enjoy. Always try and ensure there is adequate air flow around your plants, no matter what they are. 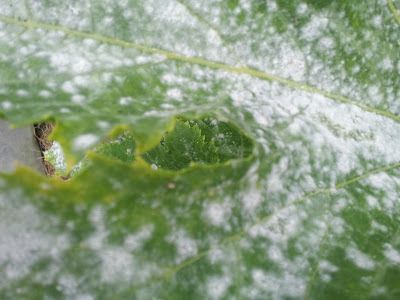 Remove badly infected leaves carefully so that the spores don’t spread, but avoid removing all of them as the plant needs leaves to photosynthesis so hopefully you’ve spotted the mildew early enough and any left are clear or only dotted. 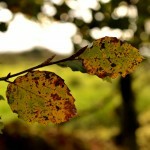 Spray the remaining leaves and keep a close eye out to see if it helps. 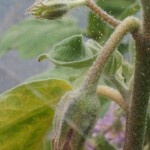 Usually powdery mildew appears towards the end of a season so people aren’t overly worried. Hope that helps.